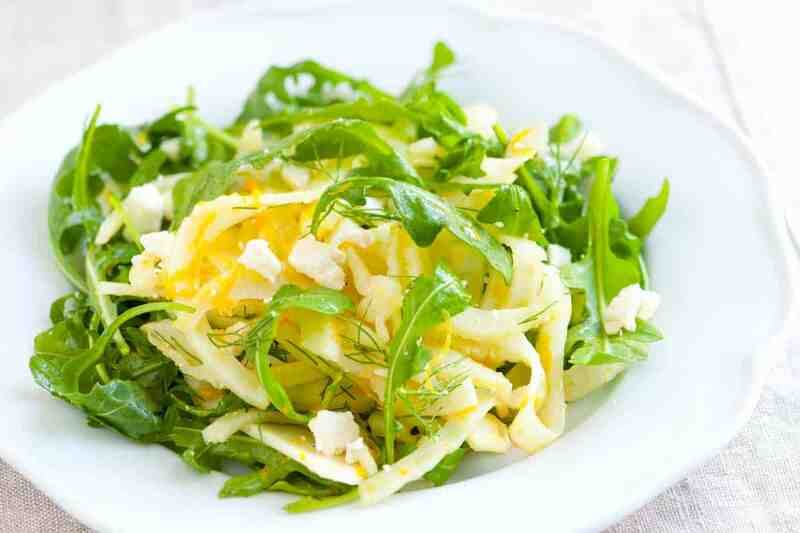 This arugula salad with shaved fennel and feta is our new favorite salad. Period. 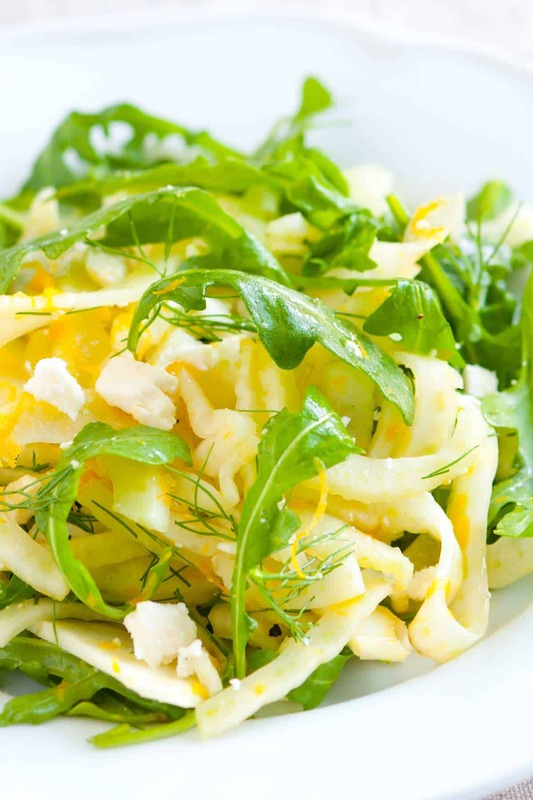 Jump to the Shaved Fennel and Arugula Salad Recipe or read on to see our tips for making it. The salad is crunchy and has the most delicious homemade orange vinaigrette. We got the inspiration for this from my mom and loved it so much, we just had to share with you. YOU MAY ALSO LIKE: Learn how to make egg-free caesar salad dressing for the best salad at home. 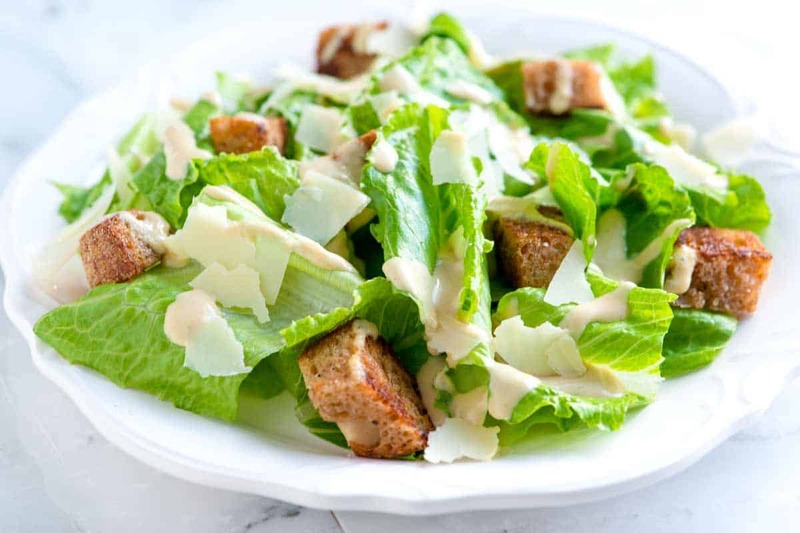 Jump to the Homemade Caesar Salad Recipe. If you’re lucky, you’ll find fennel with stems and the fronds still attached. If you do, cut the stems from the bulb and save some of those wispy green fronds. Save the rest for your next stock or broth. We use a mandoline slicer to shave the fennel. You could slice by hand, it will just take a little longer. We really love this OXO Mandoline Slicer. 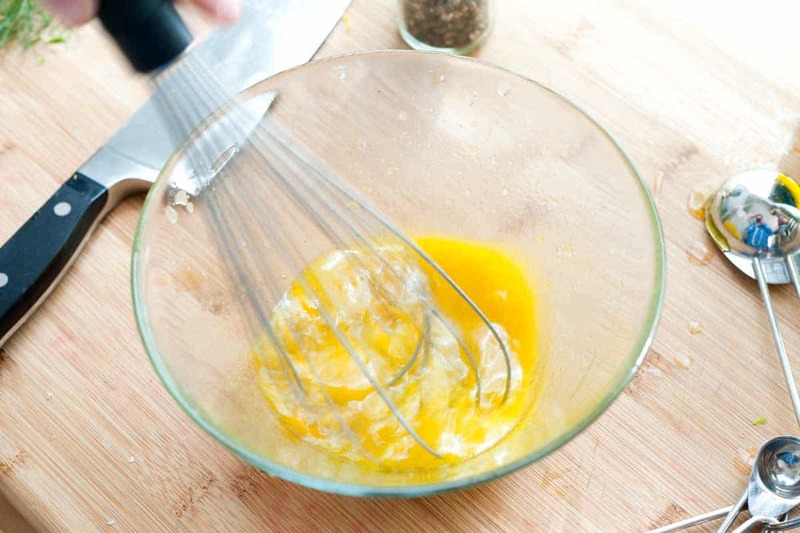 To make the dressing, we whisk both the zest and juice of one orange with apple cider vinegar and olive oil. We add the shaved fennel to the vinaigrette before tossing with arugula. In fact, we leave the fennel in the dressing for about 20 minutes. In 20 minutes, the fennel will mellow and wilt ever so slightly. When we’re ready to eat the salad, we add peppery arugula, the fennel fronds and crumble some feta cheese on top. For more arugula recipes, take a look at our Fried Goat Cheese, Strawberry and Arugula Salad, this Lemony Arugula Salad with Couscous, Cucumbers and Lemon and these Baked Chicken Thighs with Potatoes, Garlic and Arugula. We use a mandoline slicer to shave the fennel. 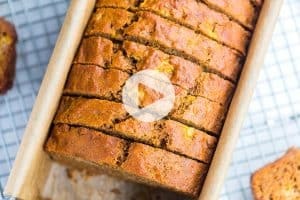 You could slice by hand, it will just take a little longer. 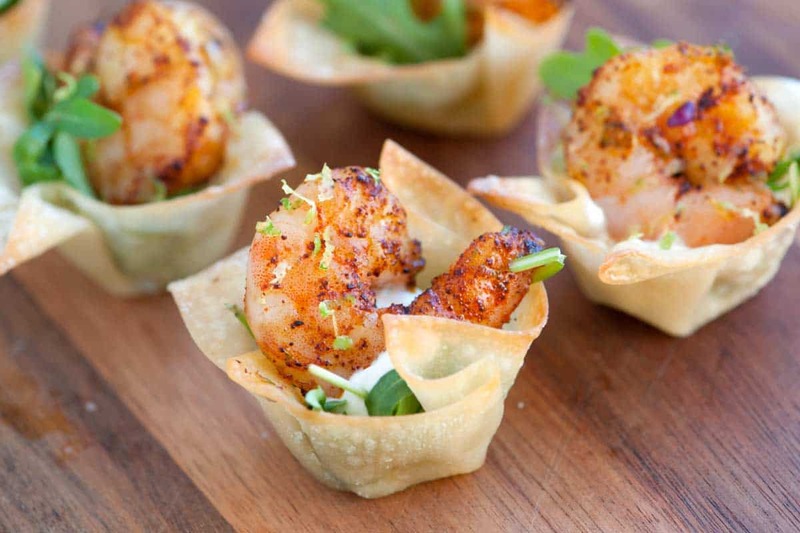 We really love this one from OXO. 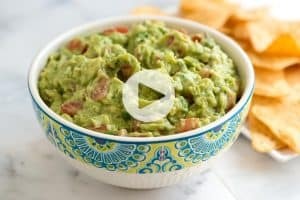 Make the dressing by whisking the orange juice, orange zest, apple cider vinegar, olive oil, a pinch of salt and a few grinds of black pepper in a large salad bowl. Taste for seasoning and adjust as necessary. If the fennel stalks are attached to the fennel bulb, cut them from the bulb and reserve about 2 tablespoons of the wispy green fronds for later and either discard or save the stems for your next stock or broth. Set the bulb on its flat end, top side up, then cut it in half. Slice the fennel as thin as possible — a mandoline slicer is helpful. 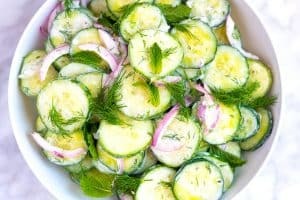 Add fennel slices to the bowl with dressing and toss. Set aside and let the fennel sit for 20 minutes. To serve, add arugula, feta cheese and reserved fennel fronds to the fennel slices and lightly toss. Made this over the weekend for a family get together. Rave reviews! 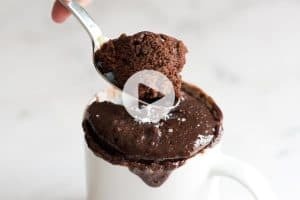 Delicious, easy, and healthy – what more could we ask for. Julia, it is one of our absolute favorite salads, so happy your family loved it! I love OXO products too! Where do I go to sign up for the give away? The salad looks amazing and super easy thanks to the OXO mandoline! YUMMY! & I LOVE OXO PRODUCTS!